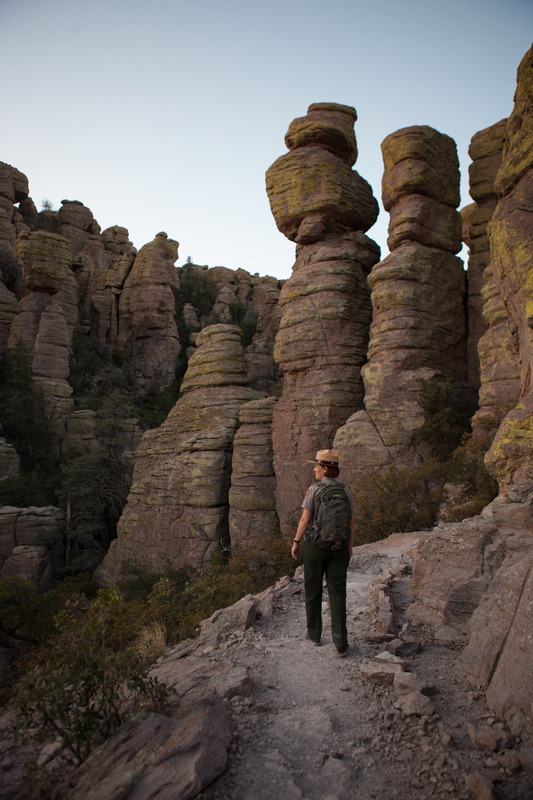 Ranger Julena Campbell hikes the Echo Canyon Trail in the Chiricahua National Monument in Arizona. The unusual rock formations at this popular hiking site were caused by a massive volcanic eruption 27 million years ago (the Turkey Creek Volcano). A process of cooling and subsequent uplifting and erosion created rifts and cracks in the rhyolite, leaving a landscapes of spires.